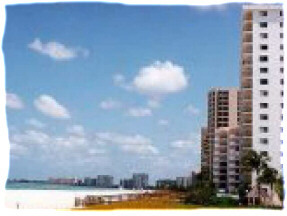 The SEA WINDS of MARCO, a beautiful gulf-front condo, located on the quiet south end of the island offers a breathtaking view of the Gulf of Mexico. This is a large, two bedroom, full two bath condo, ideal for couples, families, or "snow birds." 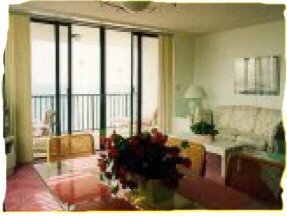 You'll enjoy beautiful sunsets and watch dolphins right from your balcony. A large heated pool, hot tub and tennis courts are on the property for your enjoyment. This tropical island off the southwest coast of Florida offers 3.5 miles of world renowned beach. Enjoy fishing, boating, shelling, golf, tennis, fine restaurants, and shops - or simply relax and enjoy the sun. Ocean location. Directly on the Gulf of Mexico! Number that can sleep in the unit: 6 using the queen size sofa bed in the living room. 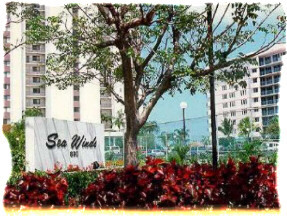 This is a large, highly desirable, Sea Winds end unit (#1401) with two FULL bathrooms - ideal for families! Balcony offers unparalleled views of the Gulf of Mexico! Traveling by car, Marco Island is only one hour south of Ft. Myers or two hours west of Miami and Ft. Lauderdale. Dates of availability: See Rates Above.